According to IDC, worldwide spending on digital transformation technologies (hardware, software, and services) is expected to be nearly $1.3 trillion in 2018 and will nearly double to more than $2.1 trillion in 2021. As the digital disruption wave gathers pace, organizations globally are gearing up to adapt to the change. Driven by the pressure of meeting heightened customer expectations, delivering superior personalized customer experience, driving internal agility and maintaining competitiveness, companies are going for the digital push. 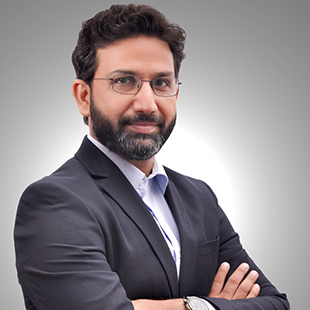 In this context, Anuj Pandey, author of the book ‘Disruptive Digital: The New Normal’ and GM – Principal Consultant, Tech Mahindra talks to dynamicCIO.com about his book and the torch bearers of digital disruption both in India and globally. In your book ‘Disruptive Digital: The New Normal’, what according to you is ‘the New Normal’? Can you elaborate on the different scales of digital maturity as defined in the digital maturity model you have proposed in the book. And, what purpose does the model serve? The digital maturity model is designed to help organizations understand where they currently stand on the digital maturity scale, and then define what their vision should be and how they need to go about achieving that vision. This model is essentially a representation of enterprise’s digital maturity positioning based on the two parameters of operational agility and customer engagement maturity. Based on these two factors, the model highlights four levels of digital maturity, which are represented through four maturity level quadrants. As organizations map themselves against this model, they will fall under one of the following four quadrants – Digital Explorers, Digital Excavators, Digital Expeditioners and Digital Masters, with Digital Explorers being the least mature and Digital Masters being the most mature. Digital Explorers: They are defined by low customer engagement maturity as well as low operational agility. Government businesses, public sector entities like oil and petroleum products typically fall in this category. Digital Excavators: They are defined by low customer engagement maturity and high operational agility. Car manufacturers, B2B manufacturers or suppliers fall into this category. Digital Expeditioners: They are defined by high customer engagement maturity and low operational agility. Digital Masters: They are defined by high customer engagement maturity as well as high operational agility. 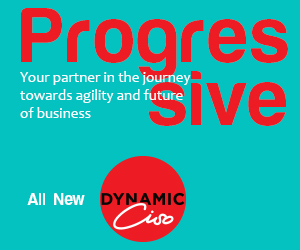 After assessing where you stand in terms of digital maturity, you can define your future roadmap based on what is the level of focus that needs to be driven around customer engagement and how much focus is required around operational agility to ultimately become a Digital Master. So, with Digital Masters being the ultimate goal, which companies do you see as the Digital Masters in today’s market? In my opinion, Amazon is an apt example of Digital Masters because of its powerful combination of unified maturity level where the company’s customer engagement goal is backed up and complimented with the internal organizational structure, DNA, people and processes that are clear in terms of what it takes to drive the level of customer engagement that the company is looking at. Which are the organizations to look forward to in India and where you see disruption happening? I would like to highlight organizations like Paytm, Flipkart, Reliance Jio and Indian Railways, which I have also mentioned in my book. Paytm is one company that I’m really looking forward to in the Indian market and expect to make ripples around because of the agility they have got internally, the quickness with which they are able to take decisions, realize the opportunities and introduce products into the market which are engaging with the customers. Reliance Jio too has really transformed and disrupted the telecom market. Though its still early to determine whether it is going to become a Digital Master or not, it is certainly good in terms of customer engagement and my understanding is that operational efficiency will drive through in due course of time. The model with which they are going ahead is the model of the future. Just like AT&T, which transformed from a telecom centric approach to content centric approach, Reliance Jio too is building itself as a content player rather than a telco entity. These organizations are not yet Digital Masters but are certainly in the starting phase of becoming one. However, to reach the level where Amazon sits today is going to be a huge task for them. They need to improve further from both a customer engagement maturity standpoint and from operational agility perspective. The choice of Indian Railways in this context seems quite odd. Why do you place Indian Railways in that category? For the kind of organization that it has traditionally been and the inefficiencies that it has carried along for so long, Indian Railways in the last 1-2 years has really transformed itself to become a highly efficient customer oriented organization. From a customer engagement perspective, they are doing a lot of work around bringing customers closer to them. There are also a lot of initiatives that Indian Railways has undertaken, specifically in terms of divisional managers being given authority to drive more decisions. So, from centralized decision making its now moving to divisional manager responsibility of taking decisions. But, having said that, the people there are not very technology savvy, primarily with mobiles, although there is the mandate to check Twitter every 5-10 minutes. I don’t see that agility holding on to people, especially those in the 30-50 age group. That’s where the agility part is hampering Indian Railways. Which global companies would you recommend Indian enterprises to emulate and learn from? I would recommend Tesla, Google, Airbnb and Amazon as examples that Indian companies should keenly follow.